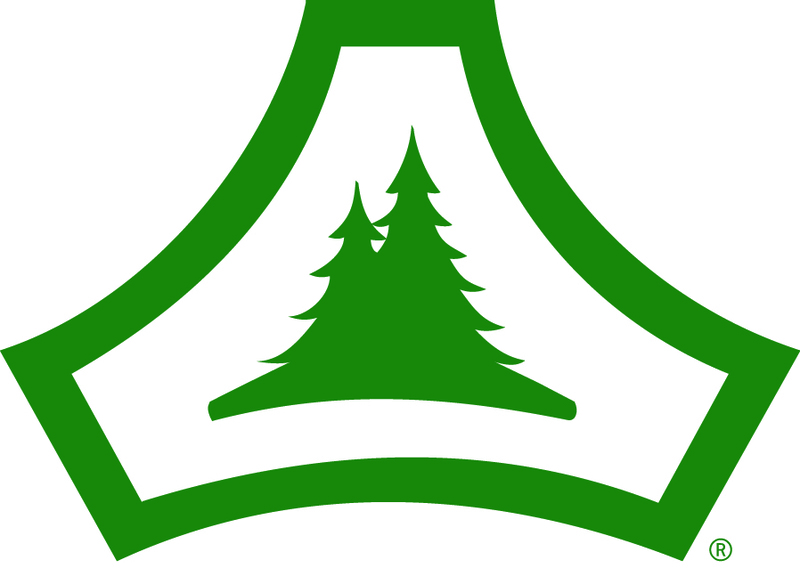 The mission of the Fort McCoy Natural Resource Branch is to foster the wise stewardship of natural and cultural resources which will support and sustain a realistic military training environment, biological diversity, the integrity of sensitive or unique sites, and commercial and recreational opportunities. Click her to read article "Hunting, recreational permit process changing at Fort McCoy"
New~ Anglers to Check-in/Check-out Starting March 2019: All anglers must CHECK-IN and CHECK-OUT daily and select the lake/zone they intend to fish through the iSportsman system. Anglers fishing Suukjak Sep lake located by Pine View Campground along with streams in the Cantonment area are not required to Check-in. Lakes/Zones are shown on the fishing map and correspond with the Game Line. You must have Registered (created an account) in the iSportsman in order to purchase your Fort McCoy fishing permit and use Check-in/out. calling (866) 277-1597. You will need to use your iSportsman permit number along with your 4-Digit PIN number to Check-in/Check-out over the phone. accessing the iSportsman web site at www.mccoy.isportsman.net. Select Activity Checkin or My Account from main menu and LOGIN. kiosk located at the Hunter Information Point (HIP) located along of Highway 21 at the intersection of South J Street and Highway 21 and will be open 24/7. LOGIN to your iSportsman account and select Activity Checkin. Categories and fees: All persons fishing on Fort McCoy are required to have a Fort McCoy Fishing permit and appropriate Wisconsin Fishing license. Wisconsin residents 65 and over, persons with disabilities (as determined by applicable Wisconsin law), children under age 16 fishing independently, and 4-day residents/nonresidents, may purchase a reduced fee permit. Children under age 16 do not require a Fort McCoy Fishing permit if fishing with someone who has a Fort McCoy Fishing permit and Wisconsin fishing license (with trout stamp if fishing for trout). However, fish caught by children under age 16 who do not have a Fort McCoy Fishing permit must be included in the accompanying Fort McCoy and Wisconsin licensed angler’s daily bag limit. The appropriate Fort McCoy iSportsman fishing permit and appropriate State of Wisconsin license and stamps are required to fish on Fort McCoy. Fort McCoy permit holders are also required to obtain the appropriate Wisconsin hunting, fishing, and trapping licenses and stamps when participating in these activities on the installation. Purchase your Fort MCCoy fishing permit through your iSportsman account. The Wisconsin licenses and proper stamps can be purchased through any Wisconsin DNR GoWild vendor, Service Center, or online at https://dnr.wi.gov. Seasons and dates: Unless otherwise posted, fishing, including trout, is permitted on all lakes and ponds from the first Saturday in May through the first Sunday in March. The North Flowage and Lost Lake are open for panfish all year. Fishing on streams is permitted from the first Saturday in May through 15 October. Fort McCoy streams will be open for the early catch and release trout season as explained in the Wisconsin Trout Fishing Regulations and Guide. Lakes: If a lake is listed as open on the Game Line, but is within a closed training area and military training is not taking place at the lake, anglers can utilize the marginal area around the lake (i.e., mowed areaor50feetfrom shoreifthelakeperimeterisnotmowed)that will not conflict with military training,as well as access the lakes by the main access road(s).Anglers are responsible for knowing if the lakes are closed due to training, this can be checked on the iSportsman Game Line posting. Streams: If a stream runs through a training area, or is used as a boundary of the training area, and the training area(s) are closed for the day, anglers can still access and fish those streams; but must do so by staying within the stream corridor/floodplain, avoiding military training, and accessing those streams at main road crossings. An angler is not allowed to walk/drive through a closed training area to access streams. Parking of vehicles to access those streams should occur at main road/stream crossings. Silver Creek has a designated parking area along the main road in B-2, refer to the Fishing Map in appendix E. Anglers are responsible for knowing if the training areas are closed due to training, this can be checked on the iSportsman Game Line posting. 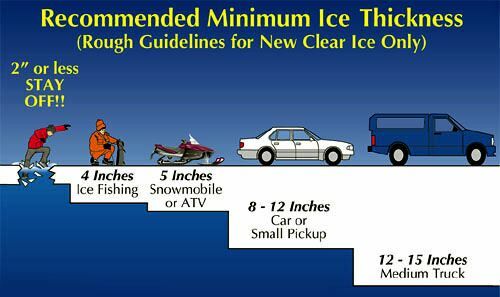 Ice fishing: Anglers may fish through the ice on all lakes/ponds at their own risk. Ice shanties can be used on lakes/ponds, but must be removed at the end of each day. No motorized transportation/equipment (defined as any motorized cart/carrier/wheeled machine aiding a permit holder to maneuver more easily) be utilized while hunting/fishing/trapping on Fort McCoy to include: All Terrain Vehicles (ATV), Utility Terrain Vehicles (UTV), side-by-sides, golf carts, snowmobiles, lawn tractors, motorized carriers, etc., unless used under a WDNR disabled hunting/fishing permit. Proper safety equipment (helmet, protective clothing, foot protection, and eye protection) must be worn. Bag, possession, and size limits: Bag, possession, and size limits on any Fort McCoy lakes, ponds, rivers and streams not listed below follow the State of Wisconsin Fishing Regulations. Once you reach any of these limits for a particular species, you must stop fishing for that species. Possession limit means the maximum number of fish that a person may possess or control (i.e., in your freezer, cooler, vehicle, etc. ), which is twice the total daily bag limit. Total daily bag limit is the maximum number of fish that an angler may possess from allwater bodies fished for that day. Daily bag limit is the maximum number of fish that an angler may possess from a specific water body in one day.An angler may not possess in excess of the daily bag limit for the water while on the waters, banks or shores of that water. Early trout: The daily bag limit and possession limit for early trout season is zero. Fish caught by children under 16 years old who do not possess a Fort McCoy permit are includedin the accompanying Fort McCoy and Wisconsin licensed angler’s daily bag limit. Silver Creek: Only artificial lures may be used on Silver Creek from the bridge east of the airport, downstream to the western boundary of Fort McCoy. This section is highlighted on the Fort McCoy Fishing Map (refer to appendix E). Boats and motors: Operation of gasoline motors is prohibited on all Fort McCoy waters with the exception of emergency first responders or Fort McCoy employees in performance of their official duties. Boats, canoes, kayaks, and floats with or without electric trolling motors are allowed only on the North Flowage, Lost Lake, West Sandy, Sandy, Big Sandy, Suukjak Sep, and East Silver Lakes. Boats, canoes, kayaks, and floats are NOT allowed on Stillwell Lake, Swamp or Sparta Ponds. All Boats, canoes, kayaks, and floats on Fort McCoy waters must comply with Wisconsin Boating Regulations. All privately owned watercraft must be removed from Fort McCoy property at the end of each day. Minnows and crayfish: Legal minnows may ONLY be used in the North Flowage and Lost Lake. Other than the North Flowage and Lost Lake, minnows dead or alive (except commercially preserved) are not allowed as bait or to be in an angler’s possession at any time. Crayfish are not allowed as bait on any Fort McCoy waters. It is not permitted to release unused bait fish into any Fort McCoy waters. Follow Wisconsin Minnow and other Baitfish Regulations regarding the purchase and transportation of minnows. Fishing methods: It is illegal to fish with nets, seines, and spears (including bow and arrow, crossbow, or by hand) on Fort McCoy waters. Swimming/Wading: Swimming/wading is not allowed on Fort McCoy, except at the Pine View Recreation Area Beach, unless wading is being used while in the act of fishing. Unauthorized stocking: It is illegal to transplant live fish from one water body to another without the consent of Fort McCoy NRB – Fisheries Program. DO NOT move, release, or stock fish, including minnows, into Fort McCoy waters.